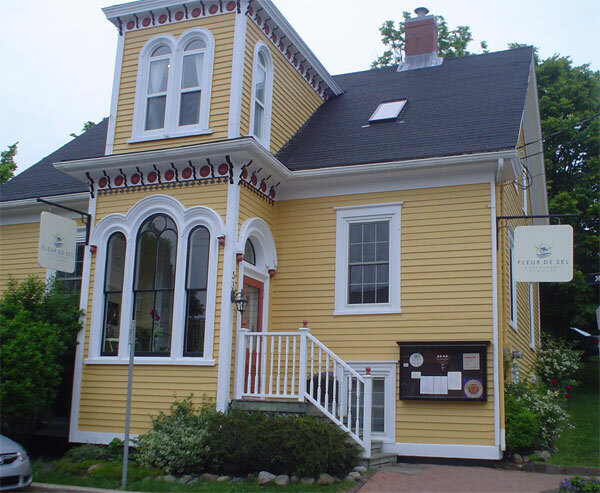 We live on the edge of Lunenburg and it is where we shop, swim, play tennis and pickle ball, go to the library, bank, cycle and walk around the interesting old town. 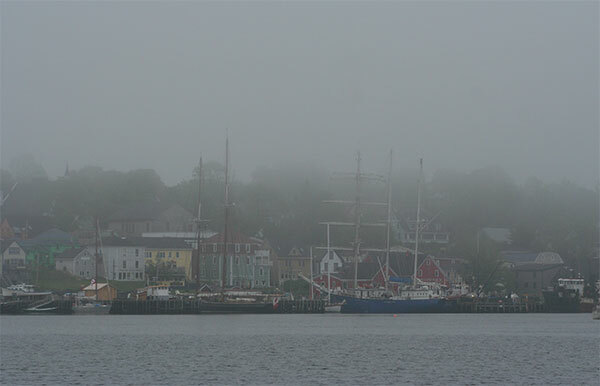 This is the well photographed water front, with the old Bluenose II sitting at the wharf. This is the same view, but taken on a winter’s night. And on a foggy day. 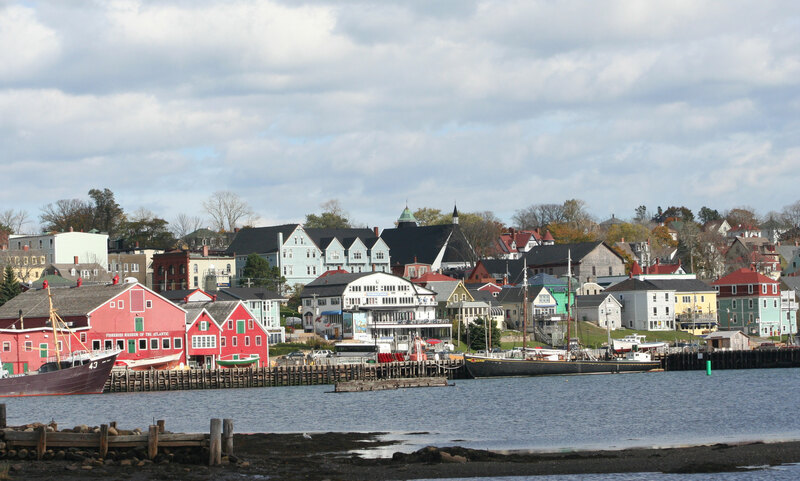 Lunenburg town is especially interesting as it is a Unesco World Heritage site. You can read about its history and growth here. 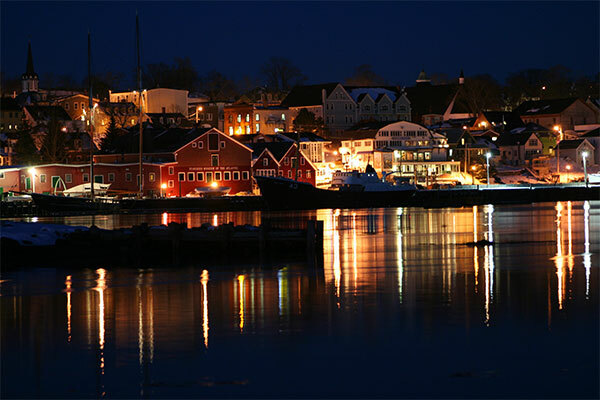 Lunenburg has many fine restaurants. Our favourite is the Fleur de Sel. We have never been disappointed in what we’ve been served here. Last Wednesday we had the best calamari you could get anywhere, and the presentation was amazing. Jeff then chose duck and I had the lamb, although I thought about having the lobster. The Great Dane Restaurant is new to Lunenburg, taking over the building which had been the very popular Trattoria Della Nonna. From what we’ve heard, The Great Dane should be just as successful. If you just want a pub meal, then you can’t beat The Knot, especially for their fish and chips. 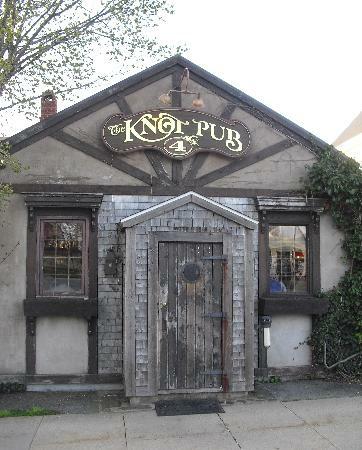 I love the look of the Knot Pub.